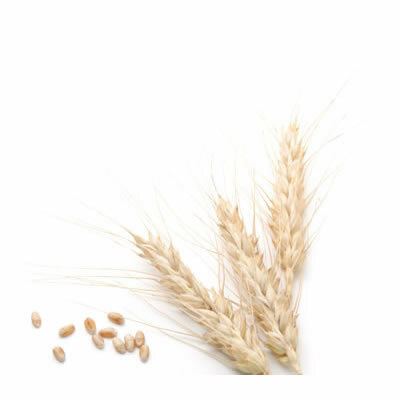 Wheat is a cereal grain primarily utilized to make flour. In the baking industry, it enables a light, airy, soft loaf of bread due to its gluten proteins. Wheat has been a vital source of nutrition for thousands and thousands of years. Scientists report findings of civilizations using wheat as a food source dating back to 10,000 B.C. Wheat is believed to have originated first in the Southwestern portion of Asia. Years later, archaeological findings have also unearthed early evidence of wheat crops thriving in Turkey, Syria, Jordan, Iraq, China, and India. Wheat was first grown in the United States off an island of Massachusetts in 1602. Wheat is primarily utilized as a human food source, though the by-products of wheat flour functions as a source of food for livestock. Wheat is a nutritiously wholesome super food of sorts, containing a multitude of vitamins and minerals and serving many benefits to health. The high protein content increases satiety, promoting weight loss, while the high fiber content enables healthy digestion. Wheat contains vitamins such as B, E, and K vitamins, Thiamin, Niacin, Riboflavin, and Folate. Minerals contained in wheat include Zinc, Copper, Potassium, Magnesium, Phosphorus and even small amounts of Calcium. Wheat varieties come in different classes: hard red winter, hard red spring, soft white winter, hard white winter, soft red winter, and durum. Hard red winter is primarily grown in Kansas, Oklahoma, Nebraska, Colorado, and Texas; utilized to produce breads, tortillas, flat breads, crackers, and rolls. Hard red spring is produced in the Dakotas, Minnesota, and Montana to make breads, crackers, and rolls. Soft red winter is mainly grown in the Eastern states and is used to create cookies, cakes, pastries, and biscuits. Soft white is primarily grown in the Northwestern region of the United States and used to make cakes, pastries, and cookies. In the baking industry, wheat is utilized primarily in the form of flour. Wheat enables a light, airy, soft loaf of bread because of gluten proteins. Gluten proteins entrap carbon dioxide gas during leavening causing the loaf to rise. Wheat is, of course, not exclusively found in bread loaves. It is used in many rolls, crackers, biscuits, tortillas, flat breads, bagels, cookies, cakes, and granola bars.